expressing exhilaration, delight, or satisfaction, or as an excited call to action. Its association with surfer dudes and ninja turtles just makes me hate it even more. sounds more like a vetinary term for a constipated bovine! No, I'm not particularly fond of "cowabunga" either but to be fair I haven't heard anybody utter the word without being facetious for decades now and I was already in my 20s and a little too old for the whole 90s phenomena of Teenage Mutant Ninja Turtles when it appeared on our TV screens altered due to censorship as Teenage Mutant "Hero" Turtles. Apparently the origin of "Cowabunga" comes from Chief Thunderthud (fictitious head of the Ooragnak tribe of American Indians) which was the character's catchphrase from an early 1950s US children's show: "Howdy Doody" - If you google it you'll probably notice how all children show from the1950 seem terrifying by retrospect and would probably traumatise or at least emotionally scar children of a today's modern audience but then again, there was the Teletubbies, wasn't there?! 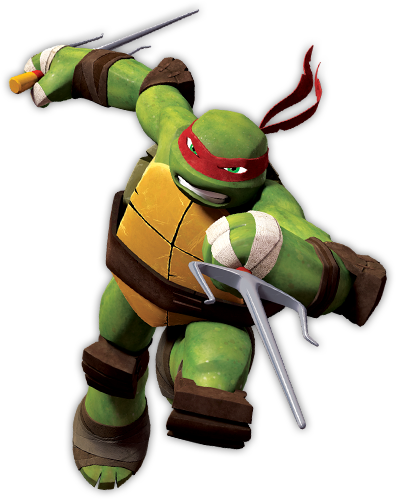 Cowabunga dude..... please don't ever, ever call me "dude". The TMNT (or TMHT as they were called in Britain) were big when I was in primary school, but even then, at aged 9 or so, their catchphrase of 'cowabunga' sounded cheesy and oddly dated. You were of primary school age at the time The Teenage Mutant Hero/Ninja Turtles ...gulp! Cheers for making me feel a million years old!